Mansur al-Hallaj (Arabic: ابو المغيث الحسين بن منصور الحلاج‎ Abū ‘l-Muġīṭ Al-Ḥusayn bin Manṣūr al-Ḥallāğ; Persian: منصور حلاج‎ Mansūr-e Ḥallāj) (c. 858 – 26 March 922) (Hijri c. 244 AH – 309 AH) was a Persian mystic, poet and teacher of Sufism. He is most famous for his saying: “I am the Truth” (Ana ‘l-Ḥaqq), which many saw as a claim to divinity, while others interpreted it as an instance of mystical annihilation of the ego which allows God to speak through the individual. Al-Hallaj gained a wide following as a preacher before he became implicated in power struggles of the Abbasid court and was executed after a long period of confinement on religious and political charges. Although most of his Sufi contemporaries disapproved of his actions, Hallaj later became a major figure in the Sufi tradition. Early years:Al-Hallaj was born around 858 in Fars province of Persia to a cotton-carder (Hallaj means “cotton-carder” in Arabic) in an Arabized town called al-Bayḍā’. His grandfather was a Zoroastrian. His father moved to a town in Wasit famous for its school of Quran reciters.Al-Hallaj memorized the Qur’an before he was 12 years old and would often retreat from worldly pursuits to join other mystics in study at the school of Sahl al-Tustari. During this period Al-Hallaj lost his ability to speak Persian and later wrote exclusively in Arabic. When he was twenty, al-Hallaj moved to Basra, where he married and received his Sufi habit from ‘Amr Makkī, although his lifelong and monogamous marriage later provoked jealousy and opposition from the latter.Through his brother-in-law, al-Hallaj found himself in contact with a clan which supported the Zaydi Zanj rebellion, which had elements of Shi’i school of thought. 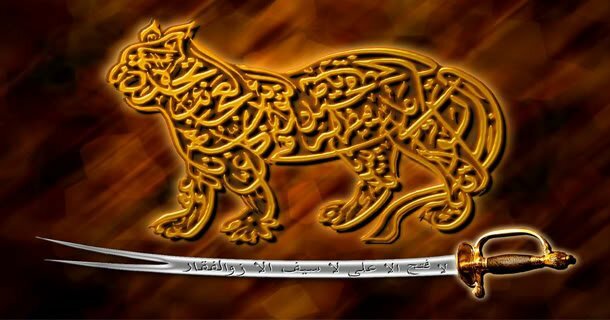 He retained from this period some apparently Shi’i expressions, but he remained faithful to Sunnism. He later went to Baghdad to consult the famous Sufi teacher Junayd Baghdadi, but he was tired of the conflict that existed between his father-in-law and ‘Amr Makkī and he set out on a pilgrimage to Mecca, against the advice of Junayd Baghdadi, as soon as the Zanj rebellion was crushed. In Mecca he made a vow to remain for one year in the courtyard of the sanctuary in fasting and total silence. When he returned from Mecca, he laid down the Sufi tunic and adopted a “lay habit” in order to be able to preach more freely. At that time a number of Sunnis, including former Christians who would later become viziers at the Abbasid court, became his disciples, but other Sufis were scandalized, while some Muʿtazilis and Shias who held high posts in the government accused him of deception and incited the mob against him. Al-Hallaj left for eastern Iran and remained there for five years, preaching in the Arab colonies and fortified monasteries that housed volunteer fighters in the jihad, after which he was able to return and install his family in Baghdad. Al-Hallaj made his second pilgrimage to Mecca with four hundred disciples, where some Sufis, his former friends, accused him of sorcery and making a pact with the jinn. Afterwards he set out on a long voyage that took him to India and Turkestan beyond the frontiers of Islamic lands.About 290/902 he returned to Mecca for his final pilgrimage clad in an Indian loin-cloth and a patched garment over his shoulders. There he prayed to God to be made despised and rejected, so that God alone might grant grace to Himself through His servant’s lips. After returning to his family in Baghdad, al-Hallaj began making proclamations that aroused popular emotion and caused anxiety among the educated classes.These included avowing his burning love of God and his desire to “die accursed for the Community”, and statements such as “O Muslims, save me from God” … “God has made my blood lawful to you: kill me”. It was at that time that al-Hallaj is said to have pronounced his famous shath “I am the Truth”.He was denounced at the court, but a Shafi’i jurist refused to condemn him, stating that mystic inspiration was beyond his jurisdiction. Al-Hallaj’s preaching had by now inspired a movement for moral and political reform in Baghdad. In 296/908 Sunni reformers made an unsuccessful attempt to depose the underage caliph Al-Muqtadir When he was restored, his Shi’i vizier unleashed anti-Hanbali repressions which prompted al-Hallaj to flee Baghdad, but three years later he was arrested, brought back, and put in prison, where he remained for nine years. The conditions of Al-Hallaj’s confinement varied depending on the relative sway his opponents and supporters held at the court, but he was finally condemned to death in 922 on the charge of being a Qarmatian rebel who wished to destroy the Kaaba, because he had said “the important thing is to proceed seven times around the Kaaba of one’s heart.” According to another report, the pretext was his recommendation to build local replicas of the Kaaba for those who are unable to make the pilgrimage to Mecca.The queen-mother interceded with the caliph who initially revoked the execution order, but the intrigues of the vizier finally moved him to approve it. On 23 Dhu ‘l-Qa‘da (25 March) trumpets announced his execution the next day. The words he spoke during the last night in his cell are collected in Akhbar al-Hallaj. Thousands of people witnessed his execution on the banks of the Tigris River. He was first punched in the face by his executioner, then lashed until unconscious, and then decapitated or hanged. Witnesses reported that Al-Hallaj’s last words under torture were “all that matters for the ecstatic is that the Unique should reduce him to Unity,” after which he recited the Quranic verse 42:18.His body was doused in oil and set alight, and his ashes were then scattered into the river. A cenotaph was “quickly” built on the site of his execution, and “drew pilgrims for a millennium” until being swept away by a Tigris flood during the 1920s. Al-Hallaj addressed himself to popular audiences encouraging them to find God inside their own souls, which earned him the title of “the carder of innermost souls” (ḥallāj al-asrār).He preached without the traditional Sufi habit and used language famililar to the local Shi’i population. 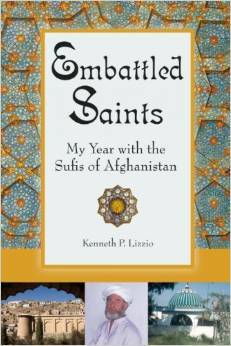 This may have given the impression that he was a Qarmatian missionary rather than a Sufi. His prayer to God to make him lost and despised can be regarded as typical for a Sufi seeking annihilation in God, although Louis Massignon has interpreted it as an expression of a desire to sacrifice himself as atonement on behalf of all Muslims. When al-Hallaj returned to Baghdad from his last pilgrimage to Mecca, he built a model of the Kaaba in his home for private worship. Among other Sufis, Al-Hallaj was an anomaly. Many Sufi masters felt that it was inappropriate to share mysticism with the masses, yet Al-Hallaj openly did so in his writings and through his teachings. This was exacerbated by occasions when he would fall into trances which he attributed to being in the presence of God. Al-Hallaj’s principal works, all written in Arabic, included:Twenty-seven Riwāyāt (stories or narratives) collected by his disciples in about 290/902. Kitāb al-Tawāsīn, a series of eleven short works.Poems collected in Dīwān al-Hallāj. Pronouncements including those of his last night collected in Akhbār al-Hallāj. If you do not recognize God, at least recognize His sign, I am the creative truth —Ana al-Haqq—,because through the truth, I am eternal truth.